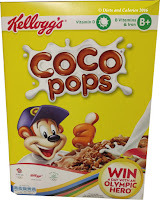 Back in December I wrote a blog post called ‘Top 40 High Sugar Breakfast Cereals’. Naturally these are the breakfast cereals I would advise NOT to consume on a regular basis! Granolas, although incredibly delicious, are nearly always high in sugar and calories. 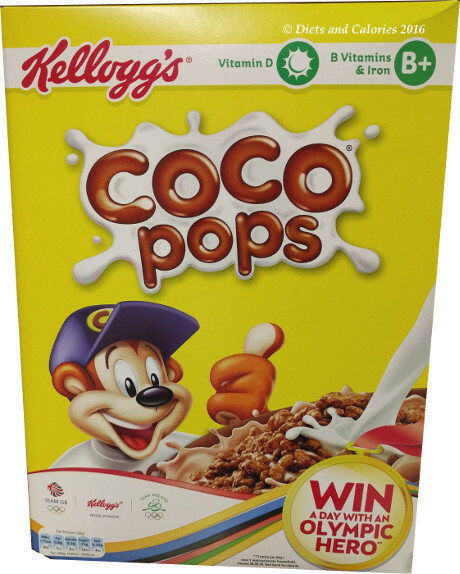 Quite a few granolas feature in my top 40 high sugar breakfast cereals list, including those made by FUEL10K. But there’s great news! 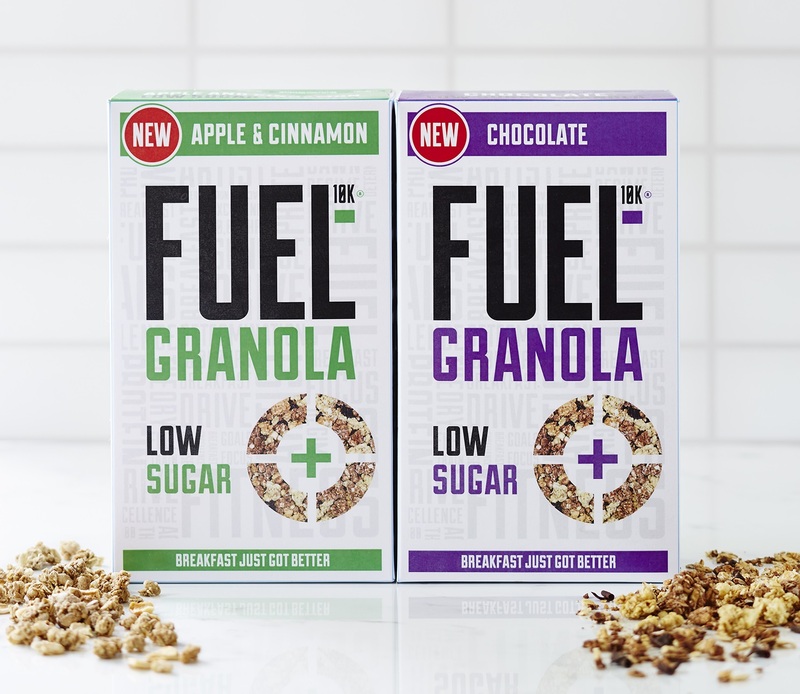 FUEL10K have recently launched two new LOW SUGAR granolas which are being sold by Tesco. 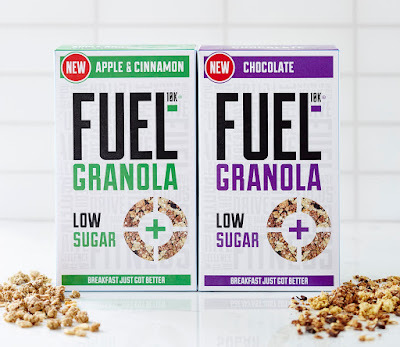 The new Low Sugar Granola will be available in two flavours – Chocolate (3.8g sugar per 100g) and Apple & Cinnamon (4.8g sugar per 100g). 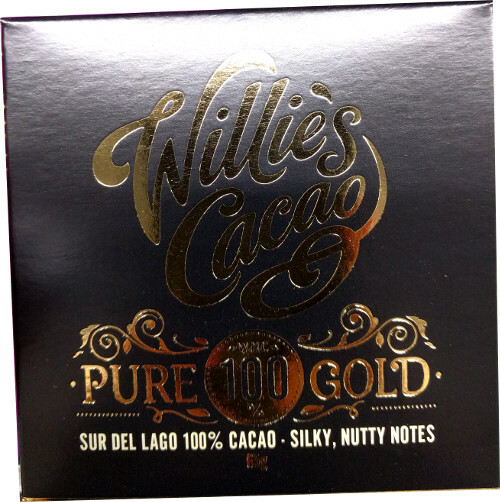 RRP £2.99 per 400g. To be classed as a low sugar product, food or drink should contain less than or equal to 5g of sugar per 100g of product. Featuring new packaging, with a distinctive white background rather than the brand’s trademark black, the new Granolas are now available in more than 500 Tesco stores. In addition to Tesco, FUEL10K is stocked in Waitrose, Ocado, ASDA, Morrisons, Sainsbury’s and the Co-Op. Alongside the new low sugar Granolas are Quark with Fruit, Breakfast Drinks, Porridge Pots, Wheat Biscuits and Multigrain Flakes. 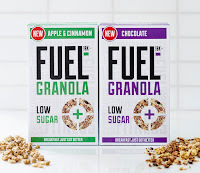 FUEL10K is not a sports nutrition brand rather a brand aimed at a “more modern” and “younger than average” cereal shopper. Recent Kantar Worldpanel data confirms that 44% of FUEL10K shoppers are either pre-family or young family consumers compared to the total category average of only 26%. These shoppers are the main offenders of skipping breakfast and, in appealing to them, the brand is growing the category through incremental sales. Author Malcolm Gladwell once wrote that if you want to become brilliant at anything, you need to practise for 10,000 hours. So whether it’s cycling up hills, a Tough Mudder challenge or dancing the cha-cha-cha, you need to make every hour count. For the team at FUEL10K, it has become our philosophy. Whole Grain Oat flakes (62%), Whole Grain Spelt flakes (10%), Oligofructose Syrup, Sunflower Oil, Dark Chocolate Pieces (2%) (Sugar, Cocoa Mass, Cocoa Butter, Emulsifier: Lecithins (Sunflower)), Cocoa Powder, Fruit Juice Concentrate (White Grape, Apple, Pear), Salt, Antioxidant (Tocopherol-Rich Extract).